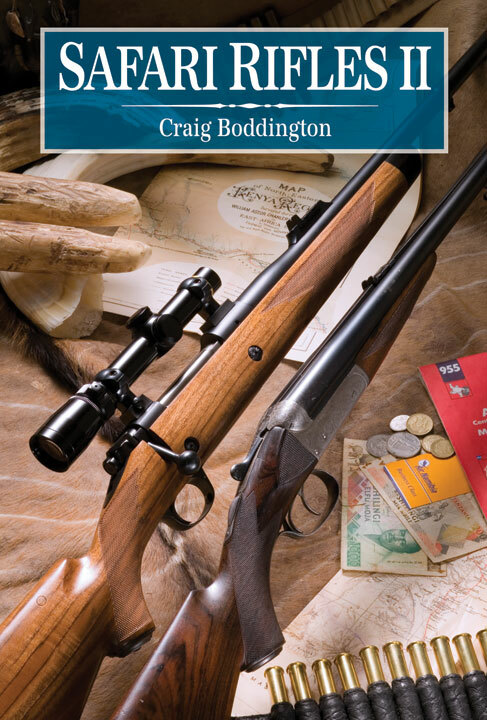 In 1990 Craig Boddington and Safari Press launched what proved to be one of the most popular and enduring books on rifles and calibers for Africa ever written, going through no less than twelve printings. To write an in-depth book about a complex matter, one needs experience. When Craig Boddington wrote Safari Rifles in 1989, he had experience, but today his name has become synonymous with African big-game hunting. Added to his vast experience is the exponential increase in the number of rifles, calibers, bullets, and accessories that are available to the hunter going on a big-game safari in Africa today-not to mention the amazing resurgence of both double rifles and .416s. Given these factors, it was imperative to completely revise and update Safari Rifles and to include all new photos. Gone are the days of simple-solid and softpoint-bullets for a mere dozen-and-a-half African calibers. The sheer number of products on the market today staggers the mind and bewilders even experienced hunters. Boddington presents his information in clearly explained, bite-size pieces that we can digest, and in the process he gives us a solid understanding of what works and what doesn't. By the time you finish this book, you will be thoroughly prepared for your next safari. Is the .375 H&H really the ultimate caliber for all dangerous game safaris? Can you shoot African big game with tiny calibers like the .17 HMR and the .22 Hornet? What sights are really ideal for big-bore rifles? Is a single shot a responsible choice for dangerous game? Do "deer calibers" such as the .30-06 and the .270 function in a wild and dangerous Africa? Many writers proclaim their knowledge of African hunting, but few have the true in-depth experience that comes from thousands of days afield. Boddington's Safari Rifles II is a rare gem of a book, offering solid information based on vast experience and insight gathered over the last thirty years of hunting on the Dark Continent. Submit your review for "Safari Rifles II"